Dispatched from and sold by Stortford Toys Limited. 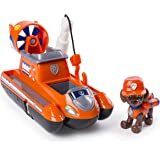 Amazon's Choice for "ultimate paw patrol"
Go on an Ultimate Rescue with Skye’s Ultimate Rescue Helicopter! 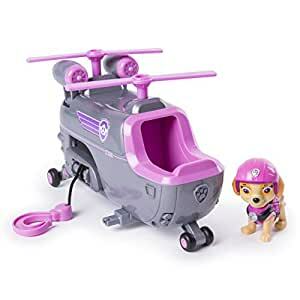 With Skye (figure included) in the cockpit, there’s room for one more pup (not included) in this helicopter! Open the cargo door, load in your favorite pup and head out to save the day in Adventure Bay! 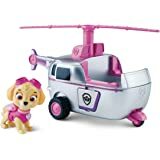 Skye’s helicopter comes equipped with everything you need for an action-packed Ultimate Rescue Mission: roll with the real working wheels; spin the propeller; activate the turbines; and pull out the rescue hook to airlift the citizens of Adventure Bay to safety! 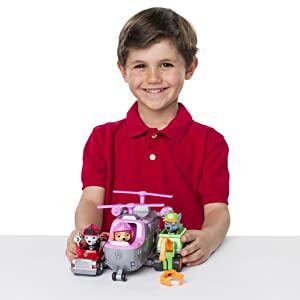 For truly daring missions, connect Sky’s Helicopter to the PAW Patrol’s Ultimate Rescue Mini Vehicles (not included). With her pals by her side Skye’s ready for anything! Featuring realistic detailing, this helicopter brings all the excitement and action of the hit TV show to life! Join the fun and fly to an Ultimate Rescue with Skye’s Helicopter! Swooping to the Ultimate Rescue is Skye in her Helicopter! She’s ready for any rescue mission with an extendable rescue hook, two spinning propellers, and opening cargo door. 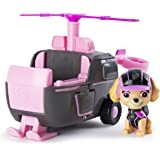 There’s even room in her helicopter for another pup (sold separately) because it often takes teamwork to get the job done! The Ultimate Rescue Themed Vehicles are ready to roll! Not only do they have working wheels but each vehicle is loaded with multiple moving features to complete any rescue operation! Skye’s Helicopter comes equipped with pull-out rescue hook, two spinning propellers, and flip-down cargo door. Skye is ready for anything! With pretend play, kids can build their developmental skills and learn about the world around them. 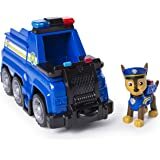 The Ultimate Rescue Themed Vehicles encourage kids to create their own action-packed adventures for the Paw Patrol pups. Pretend to be rescue hero Skye in her helicopter—how will she save the day in Adventure Bay? It’s a different story every time you play! The Ultimate Rescue Helicopter comes with a Skye figure. 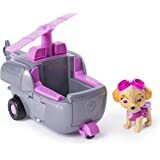 You can add another Ultimate Rescue pup figure (sold separately) in the cargo bay so they can zoom to the rescue together. 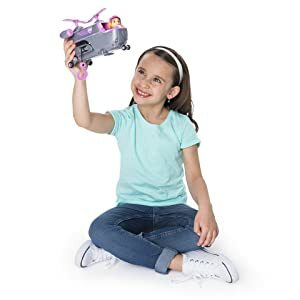 For even more amazing adventures, connect Ultimate Rescue Mini Vehicles (sold separately) to team up and race to the rescue! 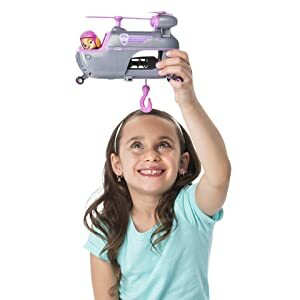 Look for Zuma’s Mini Hang Glider or Marshall’s Mini Fire Cart and more! Little one has been after an Ultimate version for a while, and having seen an advert for one, bought this one. He’s happy with it but no where in the advert does it say it’s the Mini version so please be aware. It does show it on the box but a decent seller would actually put it in the advert as well. 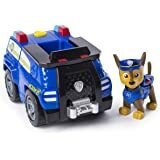 This is one of my son's favourites if the paw patrol cars. I'm glad I went for this over the basic one as it does alot more and there's room for 2 pups. The Skye that comes with it is good quality. Sick granddaughter over the moon when amazon delivered this to her door. She just loves paw patrol 😍. Good quality, good price and big enough for little hands. Skye is the favourite character. 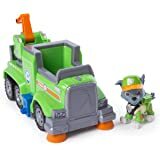 Bought for gift for Paw Patrol mad grandson. 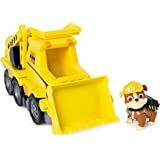 Really a good toy with quite a few features. Robust and well made.